And DJ Khaled sticks to what he does best in the video released today: dancing in one place and offering a series of self-help maxims like, “Best thing I ever did was believe in me.” Watch the visual below. 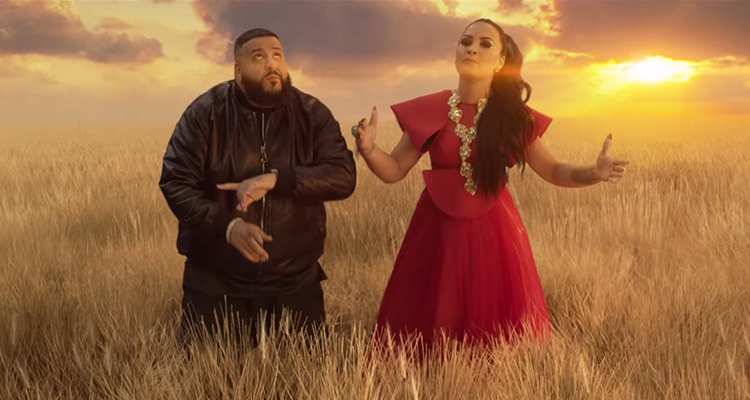 DJ Khaled and Lovato are just two of the artists, including Sia, Chloe x Halle and Kehlani, who signed on to contribute to A Wrinkle in Time’s soundtrack. The film’s director, Ava Duvernay, also convinced Sade to record her first new song in seven years for the film. That ballad, “Flower of the Universe,” came out earlier this week.